More dragons for today's entry. This dragon is so special for us for a simple reason: it was the first one we did for a bracer. We were looking for something "viking" and there's no viking stuff without dragons and sea serpents isn't it? 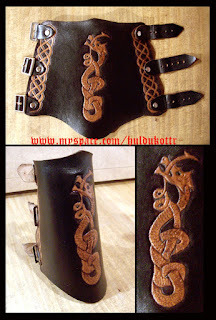 We will do a new version for this bracer in the future, keep tunned.